Famous for its beef and cider, Hereford is a city that makes the mouth water in so many memorable ways. 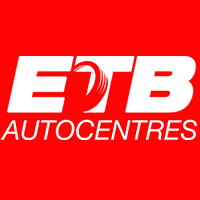 The ETB team in Whitecross Road might not quite get the tastebuds tingling in the same way, but they satisfy the hunger of motorists with the same close attention to detail to their automotive work. Having been at the depot for over a decade, manager Rob Gibbard has built up a rapport with customers who keep on returning. The rapport that Rob has built up with customers over his 11-year-career at ETB means that his team is seldom quiet, but they still find time to chat to customers. “We love to talk to every motorist that comes through the door and it is really great to hear all the stories they have about driving. Deal 2: A no-obligation free Tyre Check to get your car ready for summer. Rob also hopes that his passion for motorsport translates into his levels of service at the ETB forecourt. He is a keen fan of Fords and knows all there is to know about Focuses and Cosworths – and any other model in between. “Not only Fords but cars have always been a big love of mine ever since I was a boy and getting to work on Jaguars, Porsches and Aston Martin’s is a dream come true.